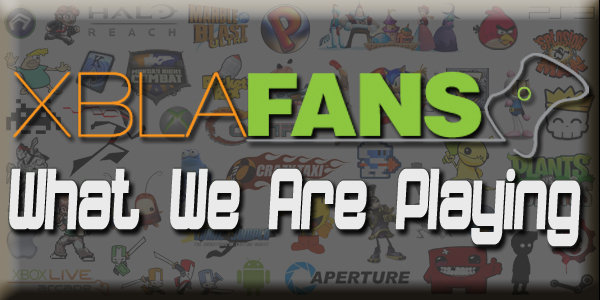 Last week, XBLAFans ran down the 25 best XBLA games to be released on the Xbox 360. This week, some of the games that didn’t make the cut get a second chance as select members of our staff make their cases for their personal XBLA favorites. Sometimes the games you have the most fun with are not necessarily the best games. Sometimes the experiences and the memories are more important than the games themselves. Case in point: EA’s reboot of the NFL Blitz franchise. I have vivid memories of playing the various Blitz sports franchises as a younger gamer. The NFL Blitz series is notorious for the over-the-top gameplay, late hits, wild commentary and just plain old fun. With original publisher Midway out of the picture, EA Sports, decided to reboot the franchise in early 2012. The gameplay that I remember is still intact with one exception, the late hits. The National Football League stepped in and asked EA to remove this feature as it currently doesn’t align with the NFL’s stance on player safety. So where is the fun now that the extracurricular activity has been removed? For me it exists in two distinct places. The single player Ladder mode in which you take on a series of NFL teams with a fictitious team thrown in. Usually these make-believe teams consist of players with heads that are in the likeness of horses, clowns, hot dogs, cowboys, etc. I personally spent the most time with this mode, as one of my sons and I had a great time moving up the ladder and unlocking more and more ridiculous teams. The mode that I can see most adults spending their time with is the online Elite League mode as there is a plethora of content to be unlocked here. However, none of this would be noteworthy if EA didn’t bring back the signature style gameplay. 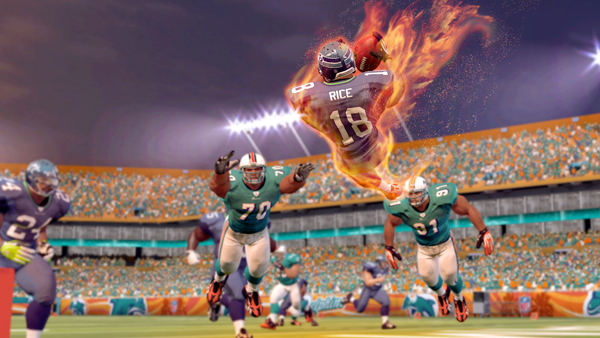 NFL Blitz in 2012 was not just a jog down memory lane, but also a reminder that solid gameplay mechanics coupled with new fresh ideas can still make a franchise relevant. Mike "CapnMikeM" Mahoney is a contributor to XBLAFans, Staff Writer at 2old2play, and Editor-in-Chief/Podcast Host at GamersInBeta.com. Mike can be reached via twitter at: @CapnMikeM or Google Plus.